Gold Star has been under the ownership of Pamela and Herb Evans since 2001. We are a family operated business that cares about our clients, staff, and community. We have strived to implement family-friendly policies to help parents navigate our program, while maintaining the highest quality facility, continuously educating our staff – all to create a fun and safe learning environment for our students. 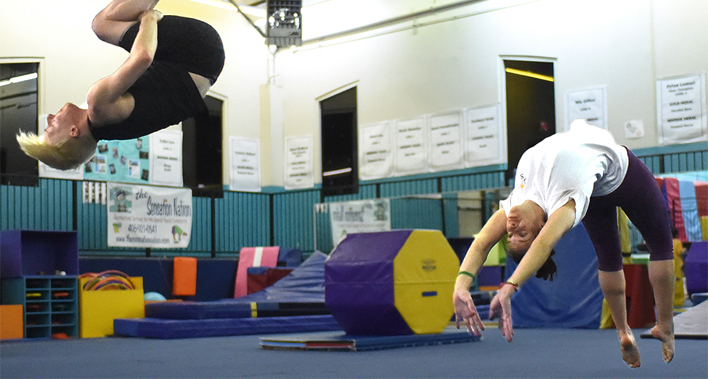 With extensive class offerings, opportunities for students of all ages and abilities, and programs for recreational and competitive gymnastics (Artistic, Cheer, Hip Hop, Rhythmic, and Aikido) – Gold Star is the place for your child to grow through the years. Start with us and stay with us.